This is the first in a series of postings about our relationships with the land and the wild places that are in our hearts. 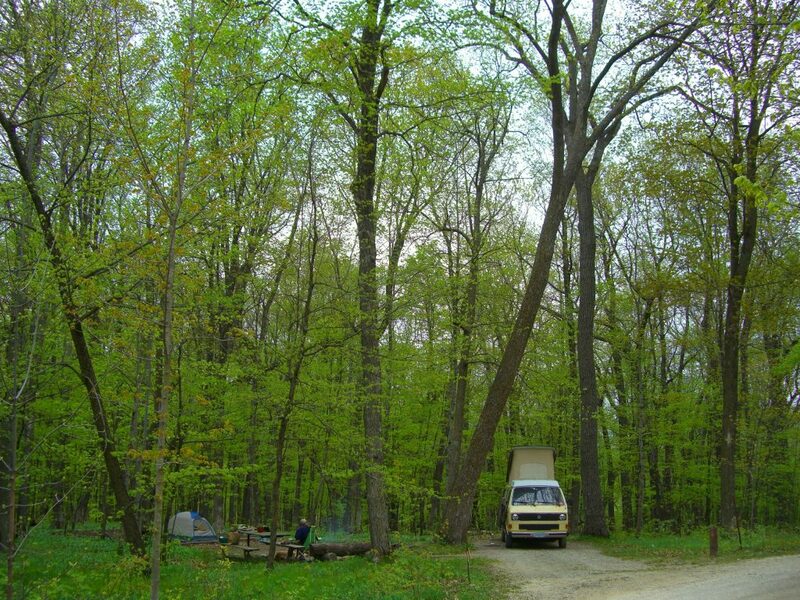 Through text and photographs, Dale Antonson shares with readers his connection with Nerstrand Woods. The path through these woods leads back to myself. When I need to replenish and tune back into Nature, Nerstrand Big Woods State Park is one destination that is an hour away, just south of the Twin Cities. 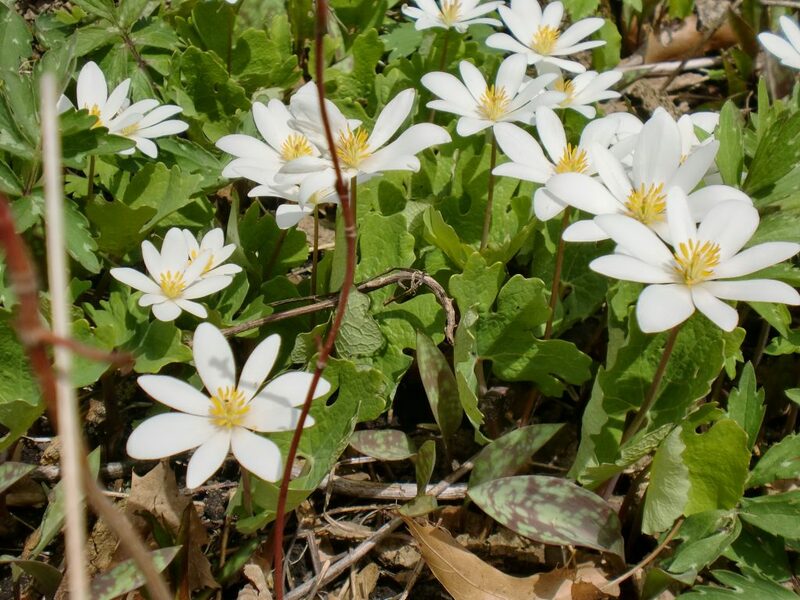 Bloodroot is a true harbinger of spring. This plant has been a Native American cure-all for centuries. 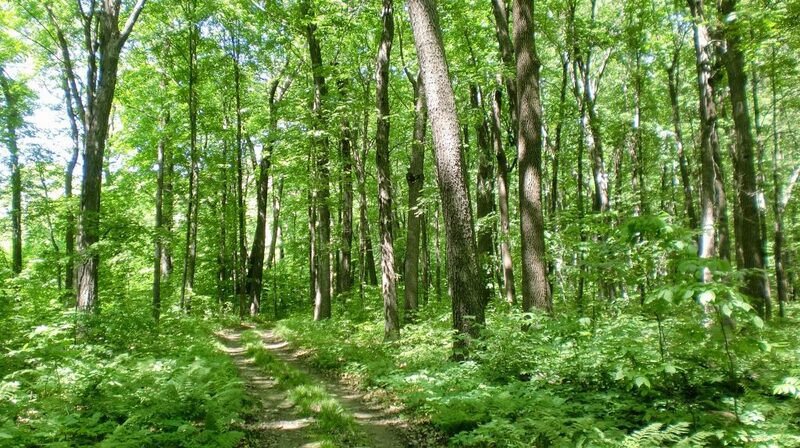 The 1,280 acre park is representative of the forests in south central MN in the early 1800’s. Contained within the park are basswood, ironwood, sugar maple, elm and ash. I am grateful to have this place to reflect and absorb the scenic beauty of the earth’s landscape before the Industrial Revolution. This is a quiet knoll of ironwood trees I carry in my heart. The topography of the park includes both flat and hilly terrain for hiking. 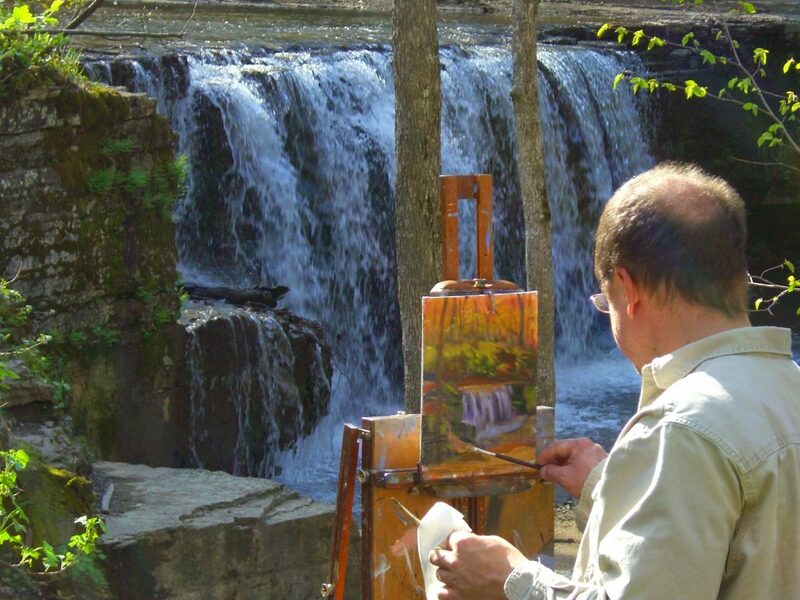 Prairie Creek runs through the heart of the park and has carved through the glacial drift over the centuries to the underlying layer of limestone. 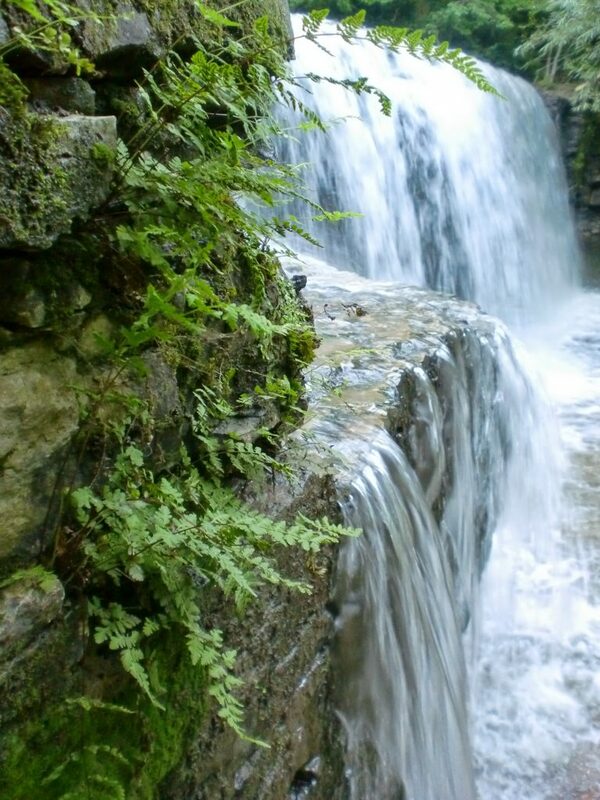 Hidden Falls, accessible from the main parking area is a popular place to see this exposed layer of limestone formed 500 million years ago during the Ordovician Period. There are over 50 varieties of wildflowers within the park, many seen along the stepped path down to Hidden Falls. 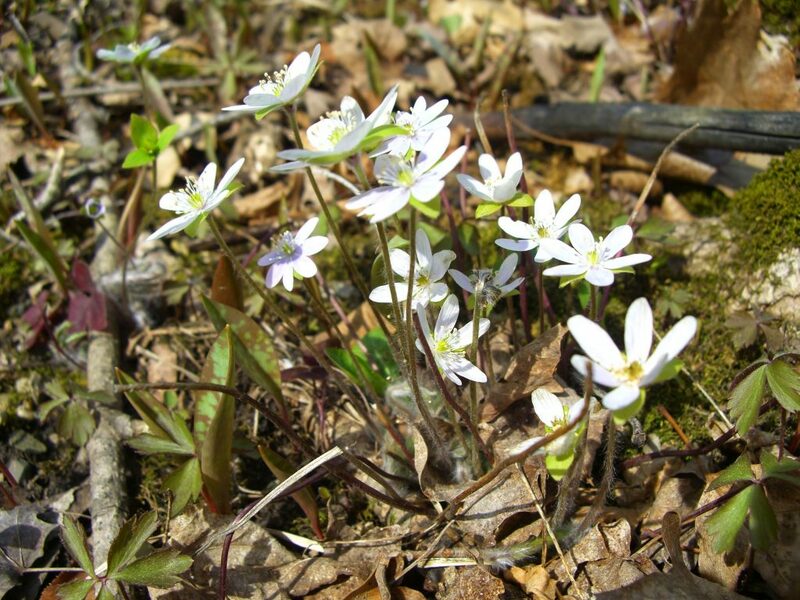 Technically, these wildflowers are called spring woodland ephemeral species. 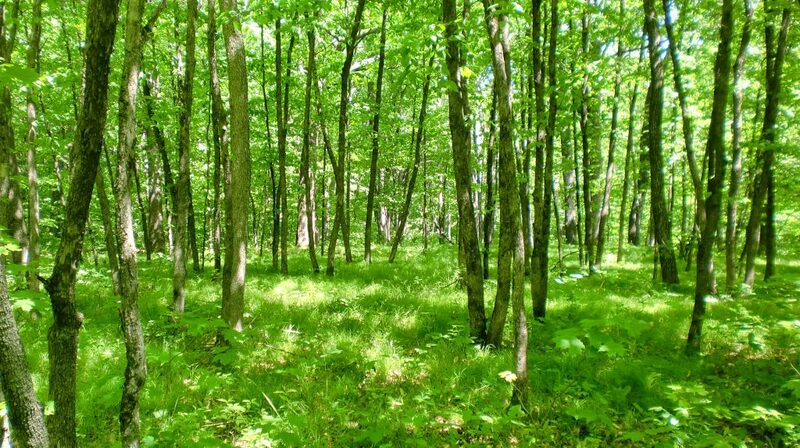 Their quick lifespan requires that they flower early in the spring when sunlight hits the woodland floor before the canopy of the trees high overhead has fully developed and filled in. The flowers fade quickly and the foliage will go into total dormancy by mid-summer. Prime viewing is late April to early May and weather dependent. 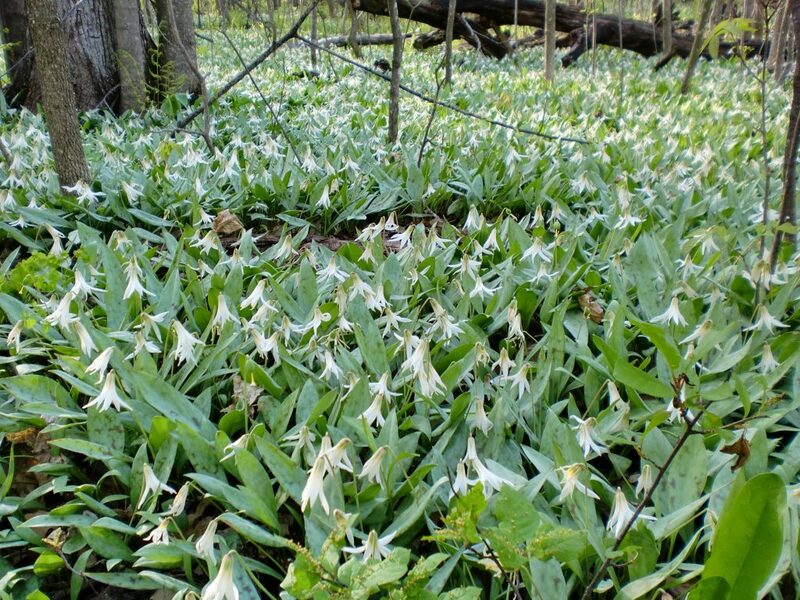 There are some areas of the woods that are breathtaking, carpeted with blooming trout lilies. In summer there are later blooming varieties. 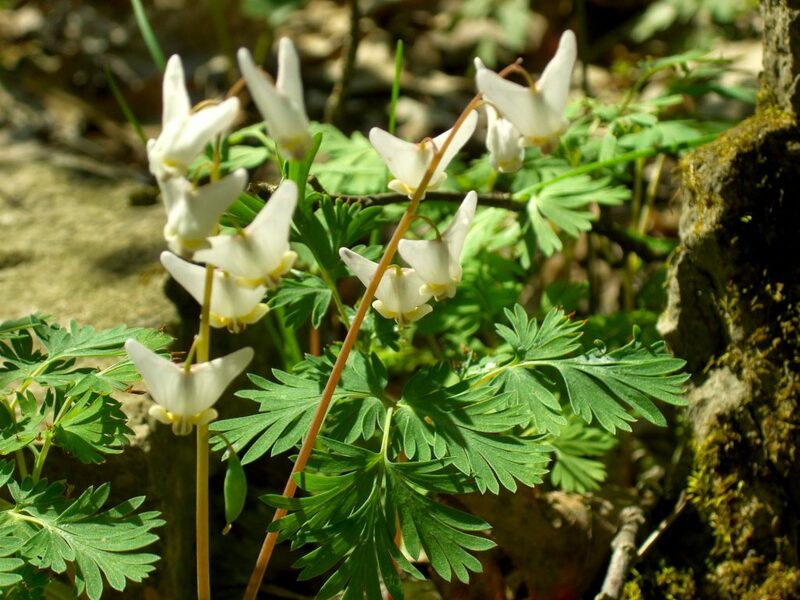 Dutchman’s Britches – A true spring woodland ephemeral species. “White pants” suspended over fern-like foliage. 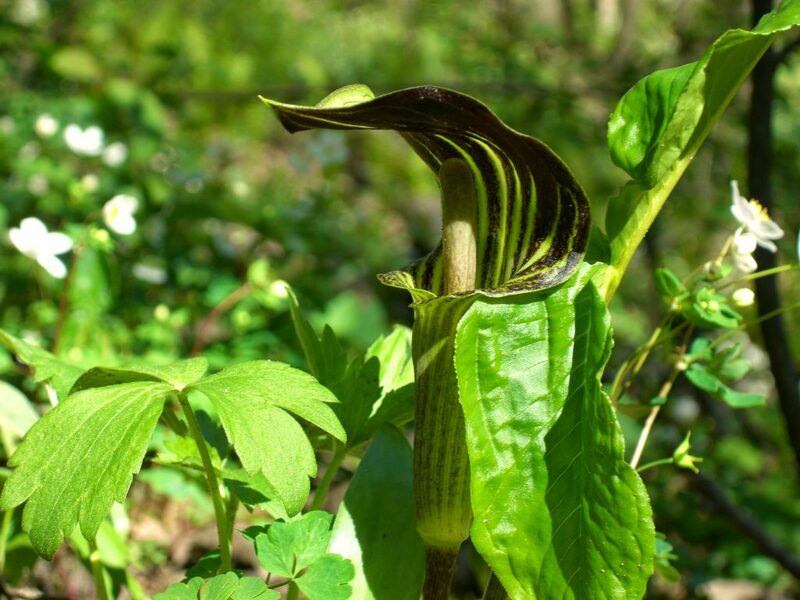 Jack-in-the-Pulpit – This exotic flower transforms into a cluster of red berries in the fall. Hepatica – What a thrill to encounter the quiet beauty of this spring gem, heralding the beginning of this new season of growth. 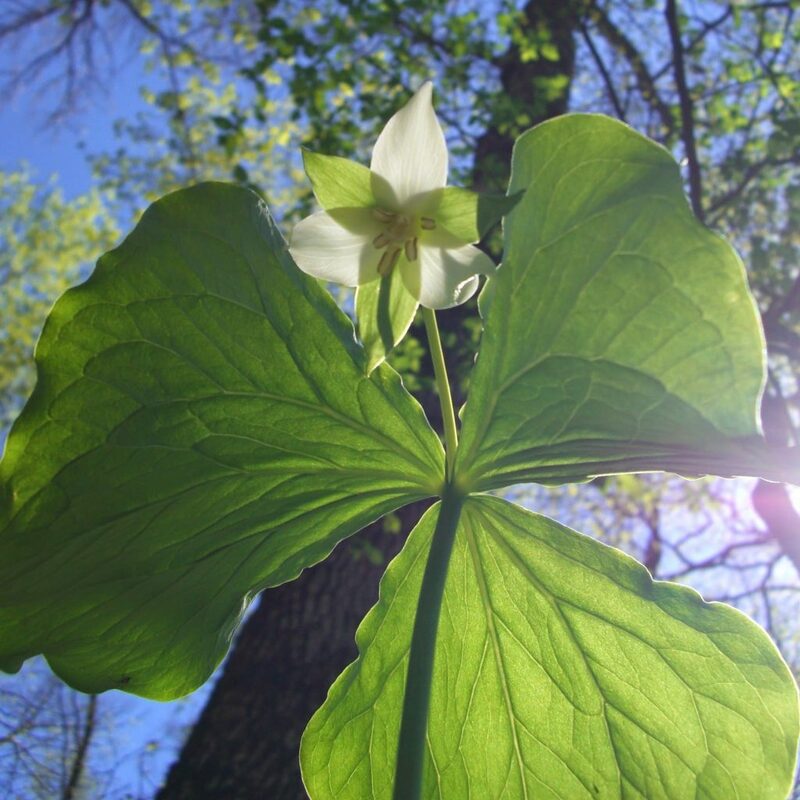 Trillium – The “tri” in trillium means three and refers to trillum’s three leaf pattern and the three petals on its flower. 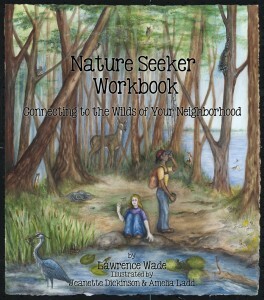 In the Big Woods, Nature provides you with an opportunity to immerse yourself into something far greater than yourself. In Japan this is called “Forest Bathing’. I came across this phrase and it properly describes this experience for me. You are literally immersed in a 360 degree panorama of life forms far beyond count. 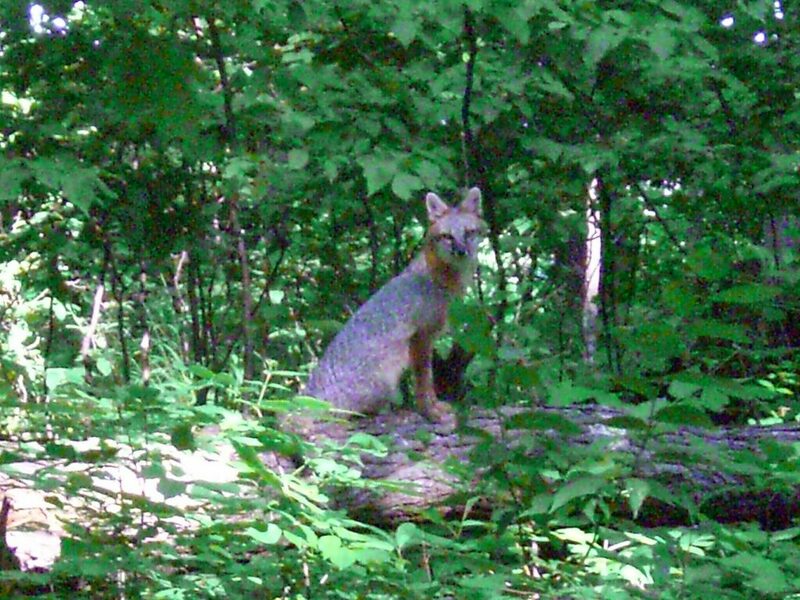 On one hike with my dog we encountered this female gray fox. She was as curious about us as we were of her. 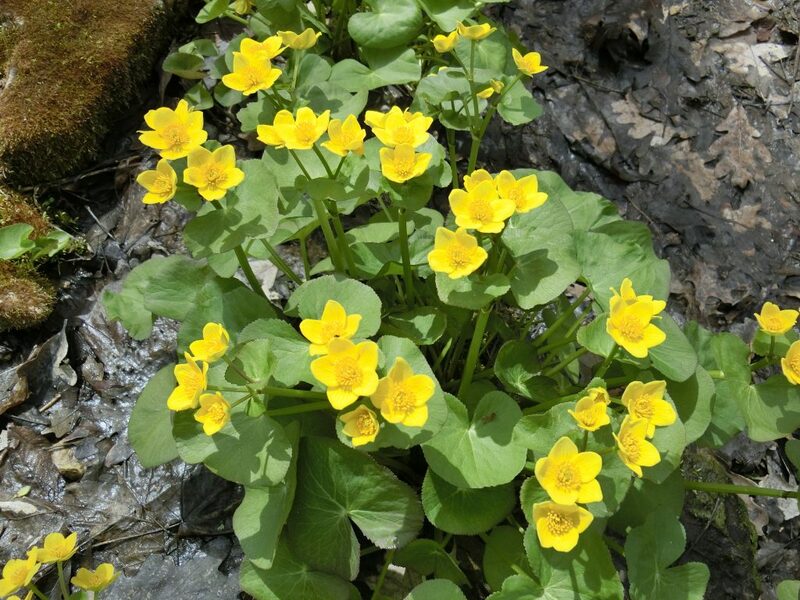 Marsh Marigold grows along Prairie Creek where the exposed limestone and natural springs join forces. 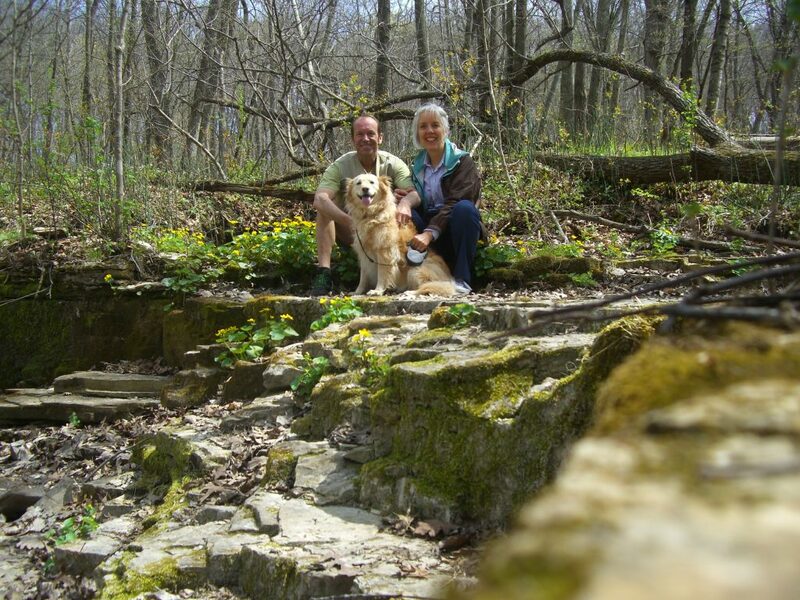 Lyndra, Dale and Jessie are captured in the exposed limestone outcrop along Prairie Creek. Whether I’m camping there or just hiking through for the day, the Big Woods always enriches my soul. This entry was posted in Connecting to Nature, Nature Notes, Photography/Art, Seasons. Bookmark the permalink. I walked at the MN Arboretum and saw many of the flowers identified here. 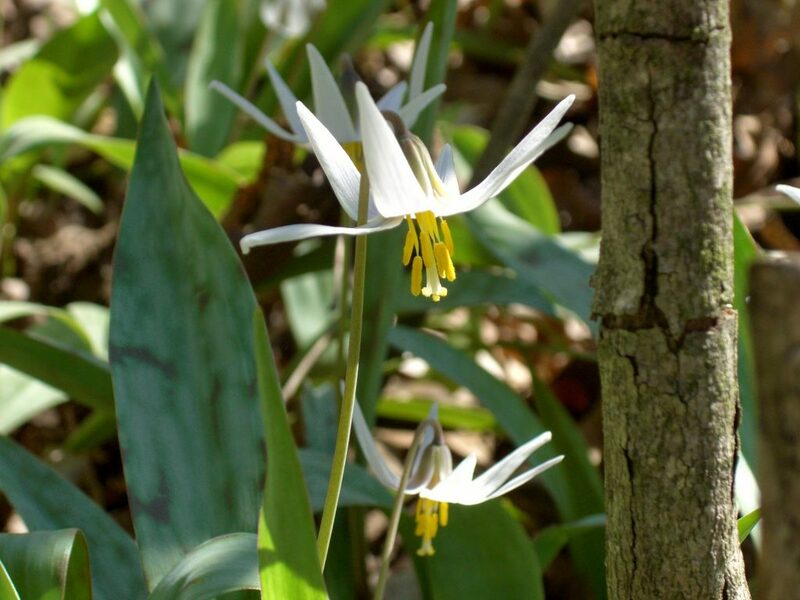 The trout lilies seem to bow their heads and remind us of the beauty and mystery of renewed life. Thanks for sharing such a magical place. Thank you for sharing this beautiful place. Your pictures transferred me to this magical forest. I could almost feel the cool water of the fall.